What can you afford? A good tour operator will know what fits your price, and what’s available during your travel window. Better to save for just a couple more years to get a fantastic safari, than scrimp on an underwhelming one. It sounds obvious, but it’s best to go on safari when the animals are easy to find. Hot, dry weather sees lighter vegetation, plus it draws animals towards dwindling water supplies. As a general rule, July to October delivers this kind of climate in East Africa. November to March is hotter and greener. It can also be rainy. Good binoculars and/or a camera with a quality long/zoom lens are essential on safari. It’s surprising how little point-and-shoot cameras can capture in low light, so if you’ve ever flirted with investing in an SLR, now is the time. You will almost certainly need a series of vaccinations before travelling on safari. Most African countries at least require a Yellow Fever vaccination certificate for entry. Check with your GP several months in advance as regards polio, tetanus, typhoid, hepatitis A and any other vaccinations that may be required. Don’t even think about bringing young kids on safari. I’d recommend waiting until they are at least nine or ten. It’s a long flight, a hostile climate, far from medical care and safaris involve lots of driving and walking. If you are walking in the bush, wear long trousers and sturdy walking shoes to protect from thorns, insects and snakes. Drink plenty of water, wear sunscreen and a hat, and take the camp’s advice on the best measures to fend off any mosquitoes or flies. The last thing you want is to spot a leopard when your SD card is full. And recharging points aren’t exactly a feature of the African bush. Talk to your tour operator, your lodge and the locals about this one. An enthusiastic and well-educated guide can open your eyes forever. 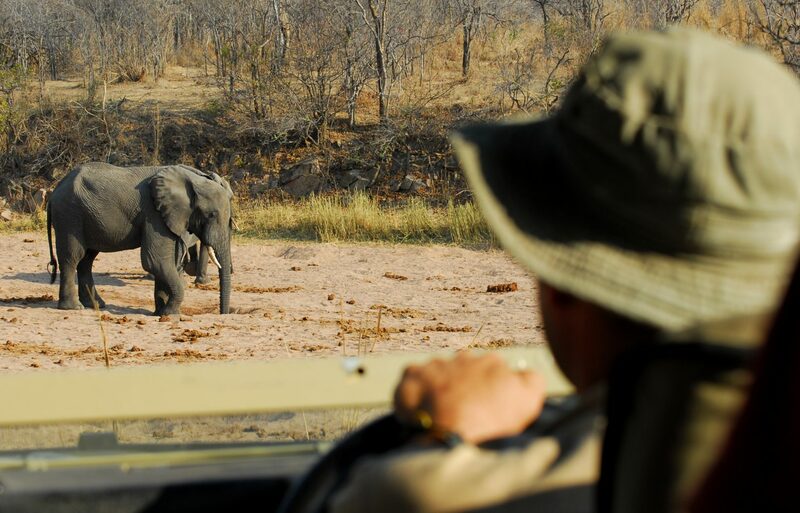 A disinterested one can turn a long game drive into an expensive yawn-fest. Not while you’re on a game-drive – that’s asking for trouble. As well as driving safaris, however, why not consider bush walks, horseback safaris, hot air balloon adventures or fly-camping in the wild? All add their own unique perspective. Long drives, hot weather and bothersome insects can make safaris hard work. Be sure to factor in some downtime – both as a treat (this is a holiday, after all), and to restore yourself for the next expedition. Naps, massages, spa treatments, sundowners and swims… they’re a whole other kind of Big Five.